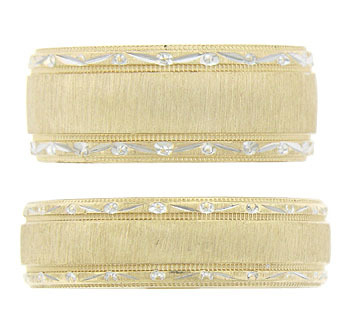 A lightly etched yellow gold surface adorns the surface of this antique style wedding band. Impressed milgrain and jewel etched organic figures decorate the edges of the wedding ring. 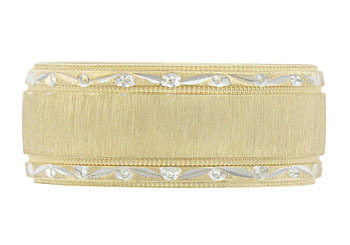 Shown with a matching band WB3114 (sold separately). 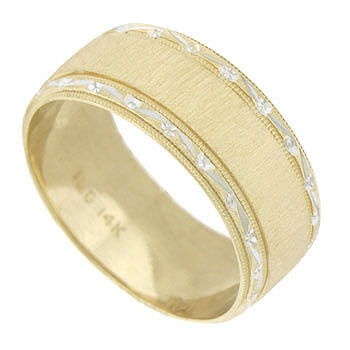 This handsome ring measures 7.90 mm in width. Size 7 3/4. We cannot re-size.